An Ivy, A New Coach And A Perfectly Terrible Football Record With a losing streak of 22 games, a breath of fresh air is exactly what the Columbia University Lions need. They've found inspiration in their "miracle worker" of a new coach, Al Bagnoli. Al Bagnoli, pictured here during a recent game against Fordham University, is invigorating the Columbia University football team. After tough seasons with a losing record, he's optimistic that his new approach can turn the team around. Columbia University in New York is known for many things, but winning at football is not one of them. In the 1980s, the school set a record for most consecutive no-win games: 44. The team is currently at 22 straight losses, the worst record in their league. But this season, there is hope for the Columbia Lions: A new coach with a stellar record. WNYC's new podcast will follow the Columbia Lions in their quest to make a comeback. If you watched the Columbia University Lions, one of the oldest football teams in the country, practice, you'd probably think they were some exceptional athletes. You probably wouldn't guess that they are in the middle of a long losing streak. "I mean, obviously, we haven't won a game in two years so everyone just thinks we're a bad team but that's not the case," Travis Reim, a senior on the team, says. Other seniors echo the sentiment. "I haven't won a game since my freshman year," says Toba Akinleye. "You never forget the feeling of winning, and that's what we're trying to get back to here is winning," adds Nick Durham. If things are going to change, this is the year it starts. Columbia is pouring money into the team and working hard to get students and alums to root for the Lions again. But the biggest change is the man at the top: a new coach who's legendary for winning. His name is Al Bagnoli, and he brought home nine Ivy League titles during his 23 years leading the University of Pennsylvania Quakers. "What we're trying to do here is no different than a company that's gone bankrupt and it's been bought by somebody and they're coming in there with a new management team. How do you get that program, how do you get that business to be solvent, and how do you get it to be profitable?" says Bagnoli. 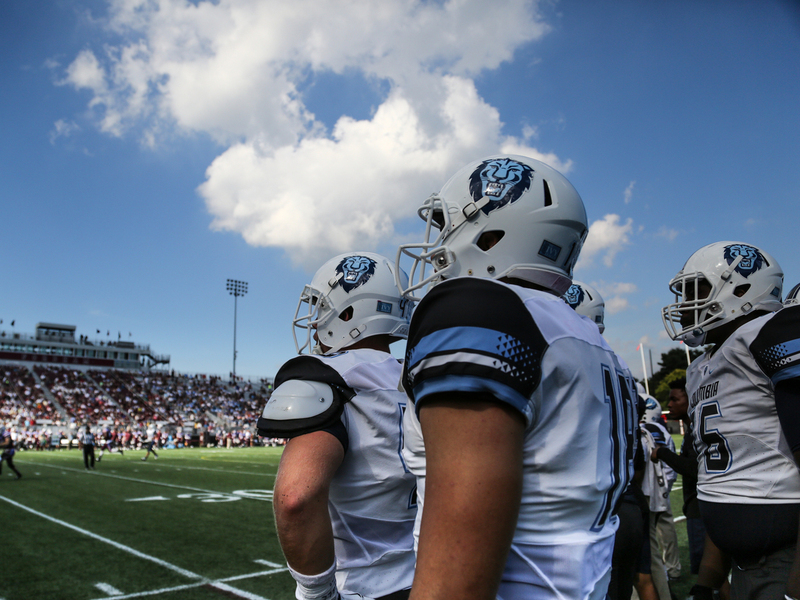 Columbia University players watch hopefully as they take on Fordham University. Despite a good start, the game ended in a loss for the Lions. Kristyn Brundidge does play-by-play for the college radio station, WKCR. She thinks Bagnoli may have just the right resume for this job. "It really would take a unique talent to be able to come in here, change the attitude of the existing players, do the recruiting that's necessary for this team to excel, and also appeal to the alumni enough to gain the support that's necessary for this team to compete," says Brundidge. 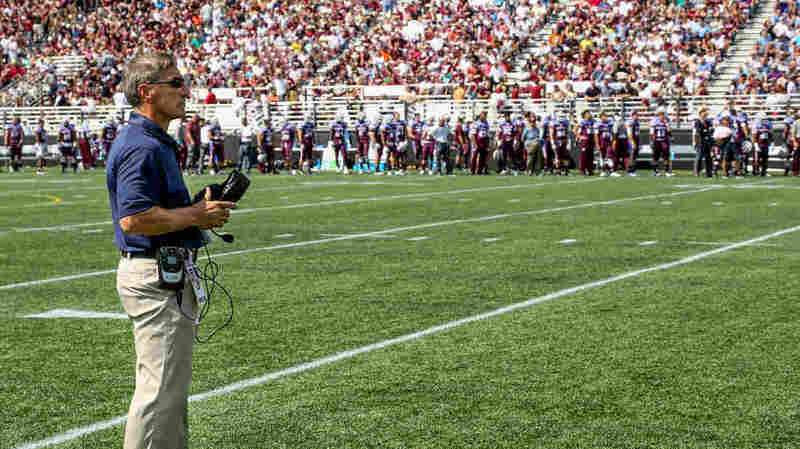 Bagnoli's approach: paying attention to detail, taking care of the little things and working on motivating athletes who've gotten used to losing. So go out, he says, and play 100 miles an hour. What does his attitude and coaching style make him? To some, a hero. "I mean, the thing is: Al Bagnoli is probably the closest thing you're going to get to a miracle worker," says Brundidge. Last Saturday, the Lions faced the Fordham University Rams in their season opener. For the first three quarters, it's close. In what's probably the most thrilling moment of the game, Columbia running back Alan Watson catches the ball at kickoff on the 2 yard line, disappears in a knot of Fordham players and then reappears on the other side, sprinting for the end zone. It's the Lions' first kickoff return for a touchdown in a decade. In the fourth quarter, it's the Rams, not the Lions, who roar. Fordham wins 44-24. Up in the stands, Columbia fans are just happy to see an exciting, competitive game. It feels like an improvement. But it's not good enough for coach Bagnoli. "I don't want our kids happy that they made this thing respectable," says Bagnoli. "I don't think that's our goal. I don't think that's where we want our program to be at." This Saturday, the Lions have home-field advantage as they face Georgetown University. If they can make this a win, if they can get even just one win this season, it'll feel like success.